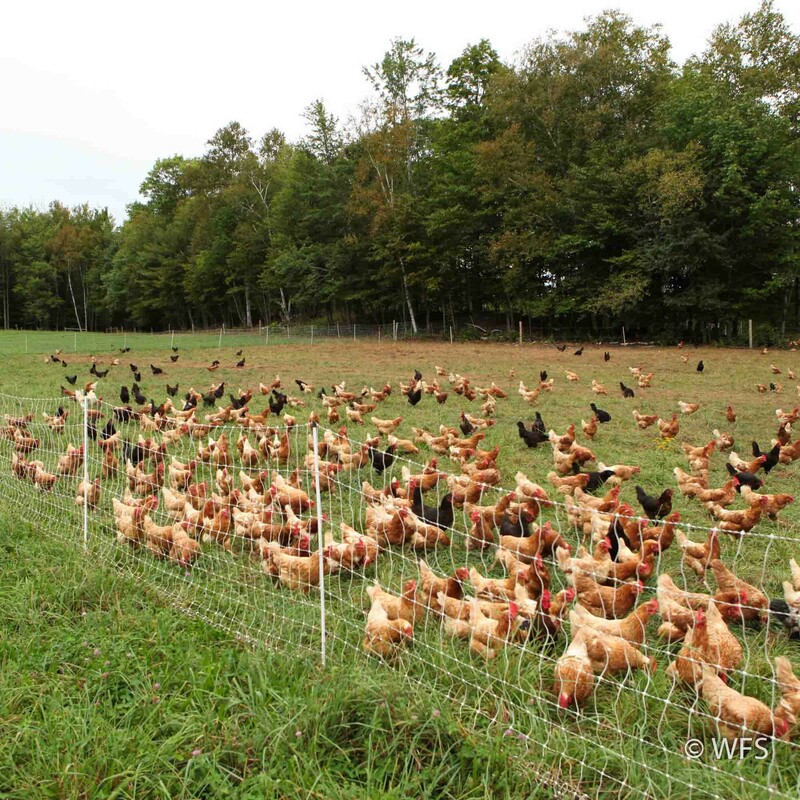 Keeps poultry contained and safe from predators. 48" high with 12 horizontals and vertical strings every 3". Spacings from bottom to top are 2", 2", 2", 2", 4", 4", 4", 6", 6", 8", 8". Double spike posts spaced every 6.8'. Choose from green/black or black/white. Available in 50' or 100' rolls.